Top 10 Best Piano Lesson Books for Adult Beginners! 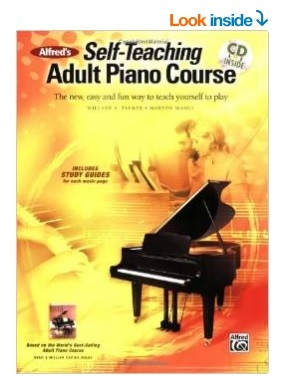 Are you an adult piano beginner interested in buying the best self-teaching piano lesson books you can find? With so many piano books out there, how do you find the best piano lesson book for yourself? You want to be able to find a piano lesson book that will be easy to understand but at the same time challenging enough to keep your interest and packed with a few popular songs…. After all, playing songs is your ultimate goal right? (*Excellent self-teaching adult piano book with lessons that are very easy to understand! This piano book is so great that it is almost like having a real piano teacher right beside you! However, for the adult beginners that want to teach themselves how to play the piano, I was able to find a few good piano lesson books and decided to share them here with you…. I hope you enjoy them and have fun practicing the piano! I always say to everyone it is never too late to learn how to play an instrument! My oldest student is 88 years old! Many people though, like to teach themselves how to do something. My husband is teaching himself how to play the guitar and he is doing awesome! If your goal is to learn how to master a few piano songs by yourself, for your own entertainment and as a challenge, all you will need is a few good self-teaching piano books and the will to learn! Best Piano Books for Adult Beginners! Alfred’s Teach Yourself to Play Piano: Everything You Need to Know to Start Playing Now! This book is perfect for adult beginners who need lots of “visual” help in learning something. It’s full of pictures and you also get a DVD. The DVD includes exciting arrangements of The Entertainer and Amazing Grace. Happy buyers say these piano lesson books are absolutely fantastic! Everything you need to know to start playing now! Whether you’re a beginner with no prior musical training, or you “”used to play”” and are need of a refresher course, Alfred’s Teach Yourself to Play Piano is the perfect resource to teach yourself piano! 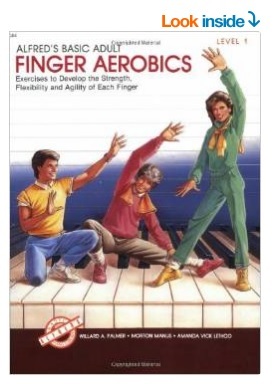 I have this piano book and it is a very thorough book. It also comes with an audio CD that you can listen to after you practice the lesson and compare to see if you did it right! 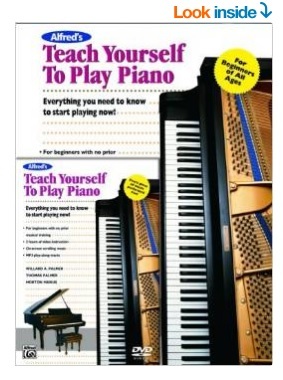 Happy buyers say this piano lesson book for adults is very easy to use and understand! Awesome Beginner Piano Book for Adults Full of Fun Songs! 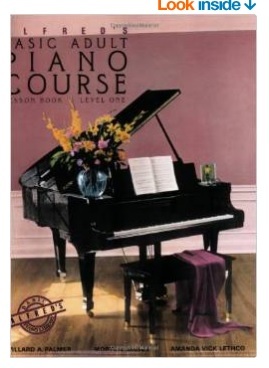 This is an excellent piano lesson book for adult beginners! This nice piano book for adults also follows a very easy and relaxed approach! 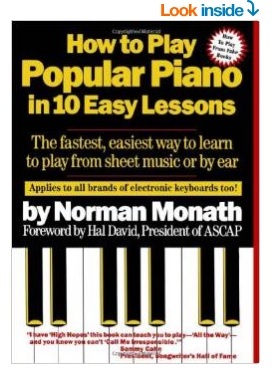 Happy buyers say this awesome piano book teaches you step by step! 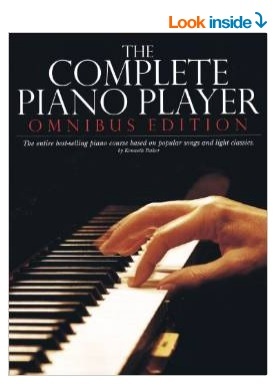 All five books of The Complete Piano Player in one! The songs are all popular and so much fun to learn! You are going to be playing ‘like a pro’! Here is a complete repertoire and textbook for the older or adult beginner. Highly recommended by piano teachers! 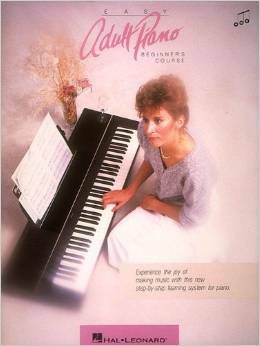 Happy buyers say this is one of the best piano lesson books for the adult beginner! I Used to Play Piano is an innovative approach for helping adults resume piano study. The beginning of the book covers a little bit of piano theory so you can brush up your skills a little and then you will start playing the songs according to their difficulty level, starting with very simple ones. 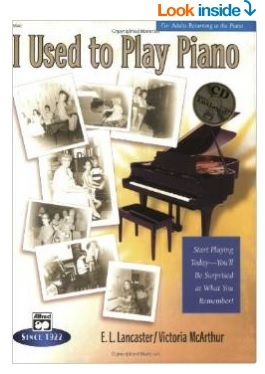 Happy buyers say that they are having a lot of fun learning the piano with this amazing book! 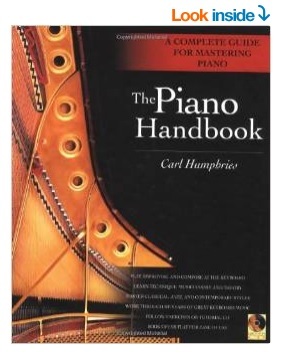 Perfect piano book for beginners or adults who used to play the piano a long time ago! It covers several musical styles and it’s perfect for the student to identify with his favorite one! A beginning course for adults who prefer a chord approach. All music is made up by chords! Very easy to use piano book for adults! It takes you step by step through exactly what you need to know! 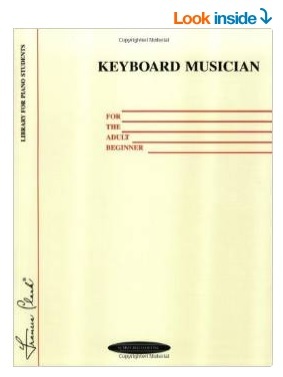 This book is among the most used by piano teachers as well! This piano lesson starts by teaching the simplest ABC notes and slowly progresses to standard notation in a way that when the student realizes he will be playing over 40 classics, including: Greensleeves * Scarborough Fair * The Entertainer * and many more beautiful songs! This fun piano book has a lot of fun songs to be practiced! The arrangements are simple and very easy to understand! Complete piano book for adults! From beginner to experienced virtuoso pianist! Step-by-step method that will make you enjoy learning the piano! It teaches you to use all the basic piano chords and to adapt them to each new song you want to learn! Great piano book to help adults understand music harmony better! *I hope you were able to find the best piano book for you here today! How about getting a nice and affordable digital piano too? Here are the most affordable ones! Best Affordable Digital Pianos for Beginners!